Benchmade 755 MPR (Mini Pocket Rocket!) M390, Wicked Edge .5 Micron @ 23 degrees. The 755 MPR is a mini bulldog. I really believe it could cut through ductwork. Nice black on black, to bad the lock is silver. 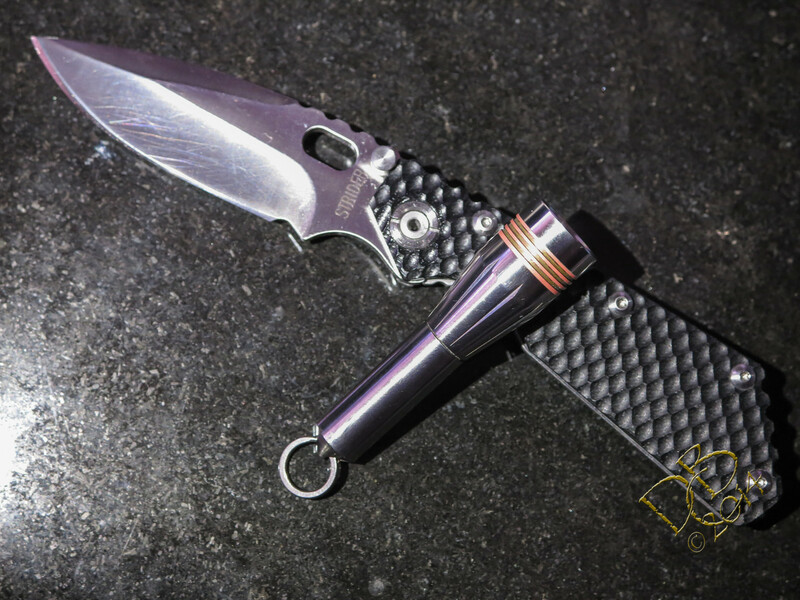 A MiniGrip 555(HG) was my first good knife, carried it a few years, I’ve also gifted mini-grip’s to some of my friends. For some reason all the sudden I was to get a PM2 (tho not bad enough to sell anything else) which is weird cause I used to hate them. When I'm done, I'll just have to lift the lid and I'll be able to choose any knife I want to carry. No more rummaging through boxes and drawers, which is why I've been carrying the same knife for over a year. Wow man nice collection, I especially like that little 480-1 Shoki! Pretty rare blade now days. I spent a few months searching for one including asking my contact at BM, he was able to find me one NIB at a dealer but the place wanted so much for it I passed and bought my sebbi instead. I can't believe you spotted the Shoki. Not for everyone. I didn't know they were out of production. It was going to be tomorrow's carry. I got more to choose from. Yep, absolutely beautiful little blade and can’t complain about the materials either. I like the Paul lock BM on the right too, what’s it? Benchmade bought LoneWolf knives and made one run of the PAUL Axials, and discontinued the line. The one on the right is a BM 235 PAUL Axial. Under the LoneWolf brand, they had names. Spyderco Sage CF Plain, CPF-S30V, Wicked Edge .25 micron @ 18 degrees. She is sharp, passing HHT-3 of the hair hanging test with flying colors! Ouchyfoot, you have a wonderful collection. Just this for me today. This flat and small sized EDC lives in my shoulder pocket. The curved blade excels in opening packages. 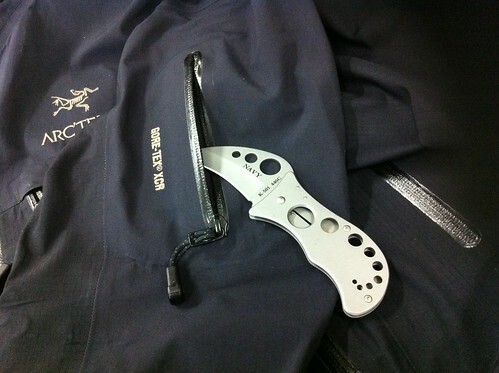 ...and no, you don't have to be a sailor or a commercial fisherman to carry one of these. I mostly carry it at my northern cottage, and it would be especially handy in rural environs. I have several. 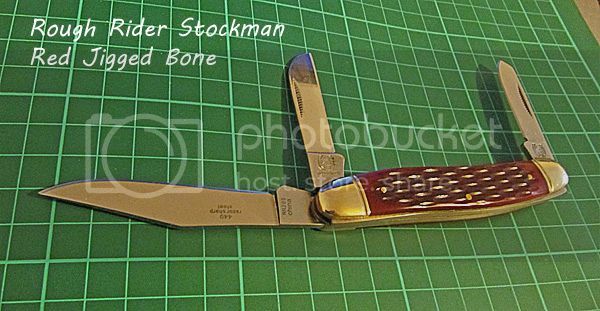 You can get this type of knife for as low as $10 (not this one). The wharncliff blade is great for cutting rope, water pump hosing, pruning etc. And I do use that slot for loosening shackles. But the best part is the marlin spike. Designed for loosening knots and mending nets, it does more than that. Poking, shimming, digging, gouging, just what we all need. How often have you messed up a blade because you needed to pry something and the proper tool wasn't at hand. This spike is indestructible. The perfect tool. The blade and the marlin spike both have their own seperate frame locks. I’ve had my eye on that Vallotton since it was released. Just never pulled the trigger. I guess I should do something before it gets discontinued. 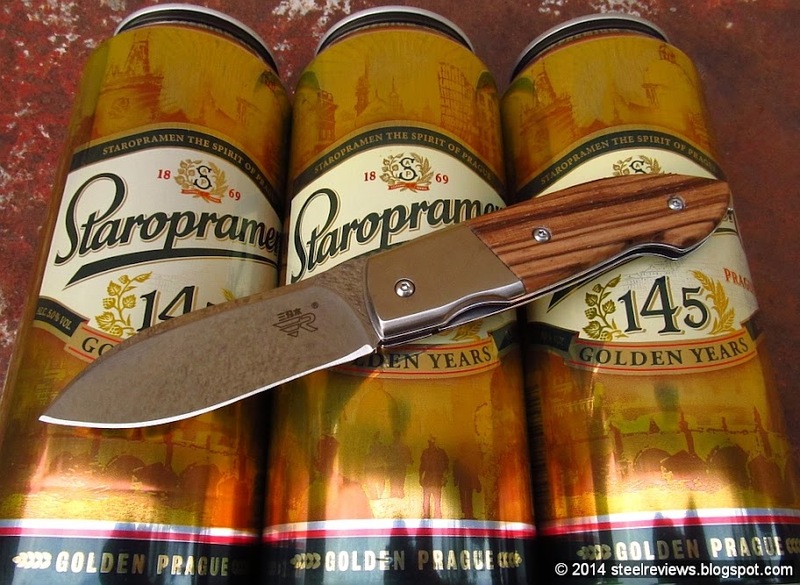 Bunch of gorgeous blades in this thread….. I have been looking at knives since the start of this thread, I hate you all! Today was a Strider clone day. Looks exactly like a Strider, right down to the Bos heat treated flame logo. Cost less than $17. Seen here hanging out with my Texas Poker. Very nice, I’ll have to get one sooner or later and definitely not at Strider prices. This is my only Kershaw knife. Hmmm. I'm trying to decide on tomorrow's carry, but I can't figure out which is the real DPX H.E.S.T., and which is the $10 chinese knockoff DPX. I wonder if that Masonic symbol inlaid into the grip is a clue? ...or the lack of a massive slab of titanium? I sure hope I get this figured out. The Vantage has left my pocket! Hmmm. I’m trying to decide on tomorrow’s carry, but I can’t figure out which is the real DPX H.E.S.T., and which is the $10 chinese knockoff DPX. …or the lack of a massive slab of titanium? Funny you posted that today, just last night I was thinking about how I haven’t bought a knife in 2014 and a person owes me some money and I was thinking about getting a HEST when they pay me. I’m gonna try to find me a mill spec with Sleipner (but when I looked at them last [months ago] the mill spec was hard to find then. 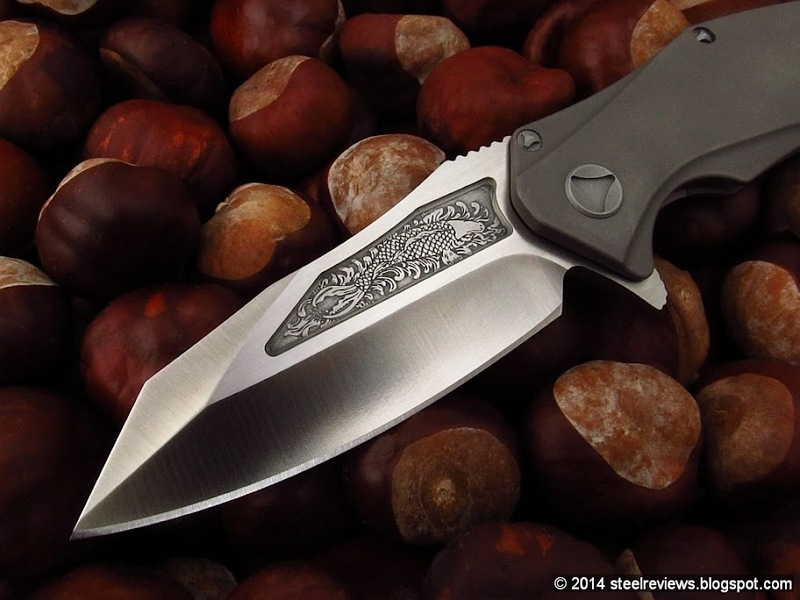 Lots of great looking knives on here. I nearly always carry this SRM-733. Since I frequently tend to misplace things, I keep it attached to my light and the size makes it more difficult to misplace. And if I do lose it, I’m only out $10 or so. This knife is affectionately known as the "poor mans sebenza", although it is neither budget or affordable by a "poor man"
Released by the Bradley Cutlery Co. as an alternative when sebenza production was sparse and sporadic.